Forgive Me For What I'm About To Do...Porygon 2! One a Day, Series 2! What...What have I done?! It is the unthinkable! 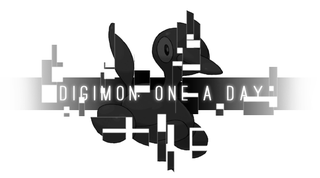 Or is it really, when you consider that today on One a Day, we have the closest we’ll get to a Digimon in the Pokemon universe with Porygon2! Today, I am not the League Champion...but a Digidestined! Let’s read on about Twoporymon! I actually had another Pokemon in mind to “digify” that is going to come down the line...But I realized it deserved more and Porygon 2, a rather unnecessary but interesting evolution would benefit from it more, no matter how expected it was or otherwise. Porygon 2 got them polygon count up from its 16 bit days, and this time with the Digimon variety its on some new next gen ish. EDIT: Shout outs to TheWP, who helped me fix up the Japanese name for this critter. The image has been updated with the new text accordingly. Thank you! For the creature itself, I based the chassis of the creature on the original Digivice. 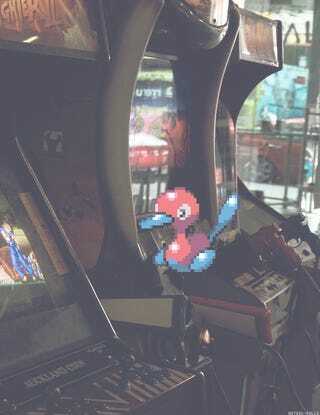 I thought it would be a nice way to install the creature into the Digital World in that manner and visual connection. The screen displays 2, for its namesake. Speaking of which, coming up with a name was a fun and silly process. Porygonmon sounded horrible. Porygon2mon is vomitrocious. Porymon sorta works but doesn’t bring up the fact that this is the second of its kind. Thus, Twoporymon was born! As for the Japanese, please don’t kill me if the writing/spelling doesn’t make a lick of sense haha. I frankensteined what I researched and came up with, and it’s more for accuracy of the Digivolution screen. If you know how to properly write it, lemme know! Anyway, I guess that’s all for today! It was my intention to make this thing a lot more weaponized as Digimon sorta feel that way to their counterparts, and it was an absolute blast working on this one. I also threw in a nod to the channel I used to watch the show on, although I’m pretty sure its on the wrong side but had to be because my assets always go in the same place. Hope you guys dig the work! QoTD: What other Pokemon might make excellent Digimon and why? Give them a new name is possible!